In America (and I’m sure many other countries too) Mr. Rogers is a TV icon. He plays a key part for many people’s childhoods, has been parodied and paid homage to many times over and entered American TV folklore. As for the rest of the world, Mr Rogers is on our radar through mentions in other shows and other media but very few of us have actually watched the show or know anything about it. 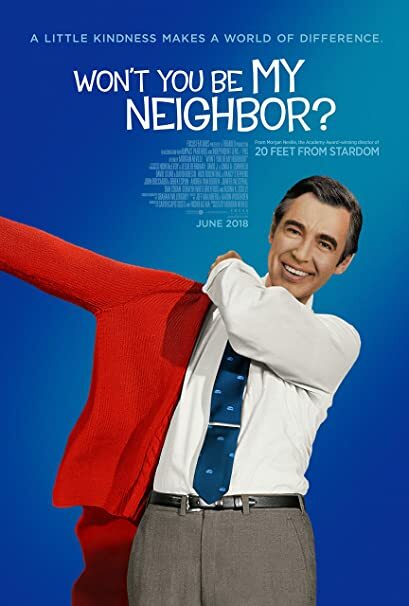 This should place the documentary Won’t You Be My Neighbor? at a disadvantage but it is made so well that you are instantly grabbed by this unusual character and his bold, TV-changing show. The best documentaries make a subject interesting regardless of whether there is prior vested interest and Neighbor certainly manages that. It helps that Fred Rogers is so positive a person. In a time when celebrities, especially older male celebrities, are on-check for being sexist, racist or offensive, even earlier in their career, or worse abusive, it is refreshing to watch a film where there is no undercurrent of menace or a slow build to a shocking revelation. Rogers is wholesome, angelic and almost too good to be true but you feel happier and better for knowing that he was someone that existed and that he was a person teaching the children of America. The documentary doesn’t just highlight Rogers and his life but also shows how important Mr Rogers TV show was. It is fairly unbelievable that a show aimed at children, with silly puppets and strange voices, would tackle immigration and “building a wall” in it’s first week. The footage of all the difficult topics, from suicide through to assassination and divorce, being handled with such care and forthright attention helps develop the interest in the show and makes you wonder what it would make of the world we live in today. From what the film demonstrates, Mr Rogers would be as outspoken about issues today as he always was. The film paints the picture of a compelling and complicated man who lived vicariously through his puppets and the show itself. The film features animations, which at first seem random but then slowly begin to tell their own story, and it is an effective way to demonstrate the underlying issues Fred Rogers had and what he may have been dealing with. As with all great documentaries, the sources are the important factors and Neighbor does not disappoint. It has a great range of footage, talking-heads from those closest to him and then the aforementioned animations to fill in the more abstract details. It makes for a story which feels important to tell and is done to successfully. Overall, Won’t You Be My Neighbor? showcases the life of a man who is maybe not well known outside of America but does so that it doesn’t matter. Stock-footage, great sources and clever animation retell the life of an important figure who made a groundbreaking TV show. 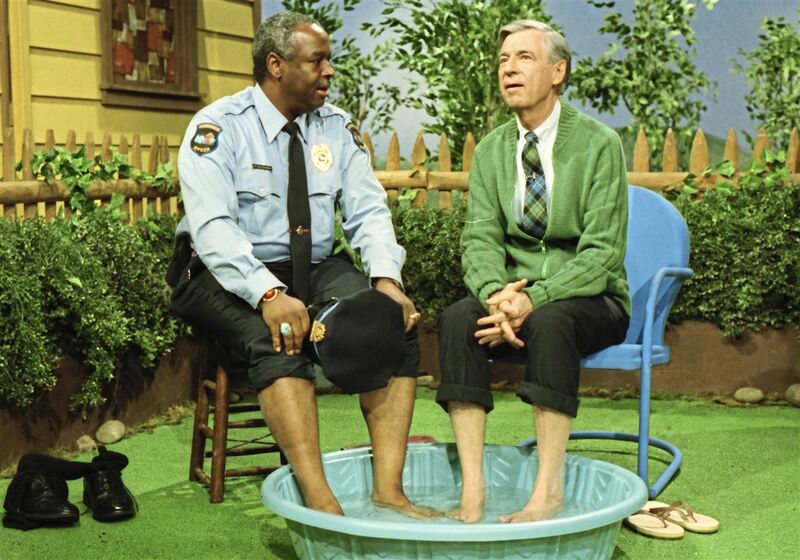 You just wonder what Mr Rogers would make of America, and the World, today. 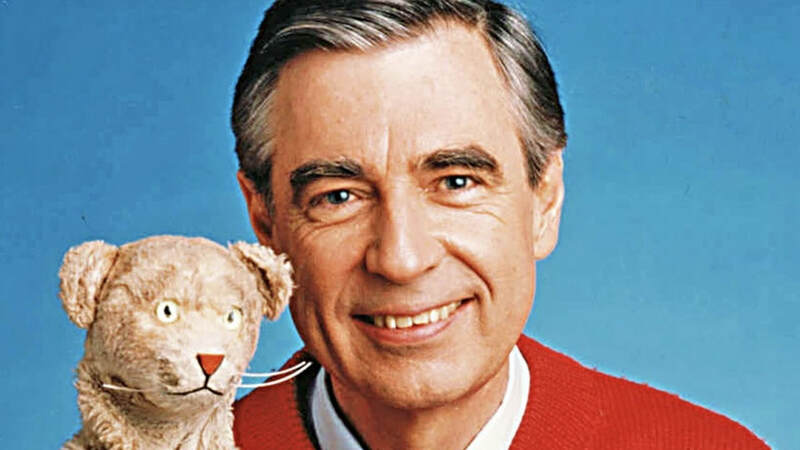 January 14, 2019 January 13, 2019 Ben2018, America, Animation, Documentary, Fred Rogers, Movie, Review, TV, Would You Be My Neighbor?